Several years ago when I was working in Ballston, I remember the novelty of the lone Pupatella food truck that people would line up around at lunchtime. 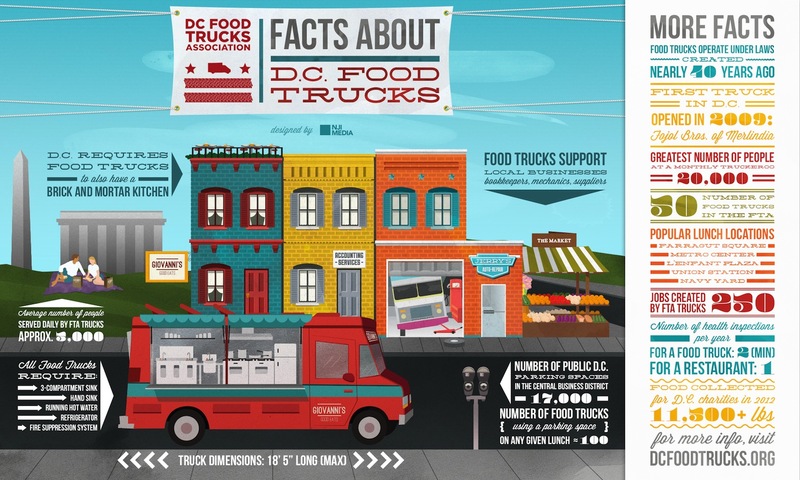 Today, with nearly 200 food trucks roving the DC-Metro area, the competition is fierce. On any given weekday around DC, rolling restaurateurs stake their claim (my favorite mobile food court is Farragut Square) to feed the hungry buttoned up masses. Now, some of DC’s favorite food trucks are getting creative and heading west to wine country. As the weather warms up, several wineries are hosting these roving gourmets, allowing them to offer customers more than the usual fruit and cheese platter and encouraging them to linger longer and drink more wine. For the food trucks, this brings in additional revenue and builds a fan base on the weekend that can carry over during the workweek when people head back to the city. This year, food trucks will play a prominent role at Vintage Virginia, one of the largest wine tasting events in northern Virginia. They even have a food truck called the Rolling Vineyard which will carry charcuterie, smoked salmon, and mezze platters to compliment the unending supply of wine at the event. Be sure to check out Captain Cookie and the Milkman which is one of my favorites – their homemade ice cream sandwiches are to die for! What I love about this is unlike the weekday where I’m usually a grab-n-go kind of gal, I can actually bring a blanket, sip a glass of wine (or two), and enjoy dining al fresco.